I have family that live in Germany and whenever we visit I always got to get a brezel, which you cannot get here in Denmark. So try my recipe for a soft pretzel, you will not be disappointed. 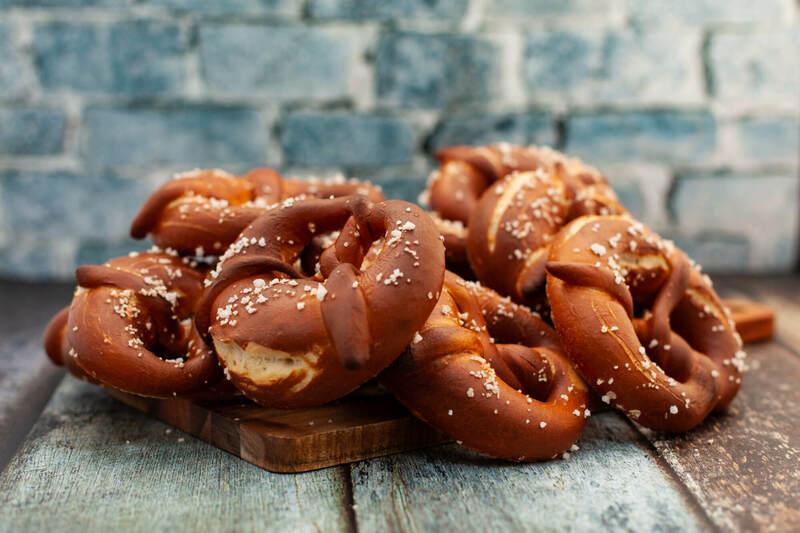 It is a soft pretzel, the crust is dark and chewy and the inside is white and super soft and crunchy salt is sprinkled on top. If you making these pretzels and post a picture on Instagram, please tag me as @foodgeek.dk so I can see your result. Thanks. Warm the water in the microwave until it is lukewarm. 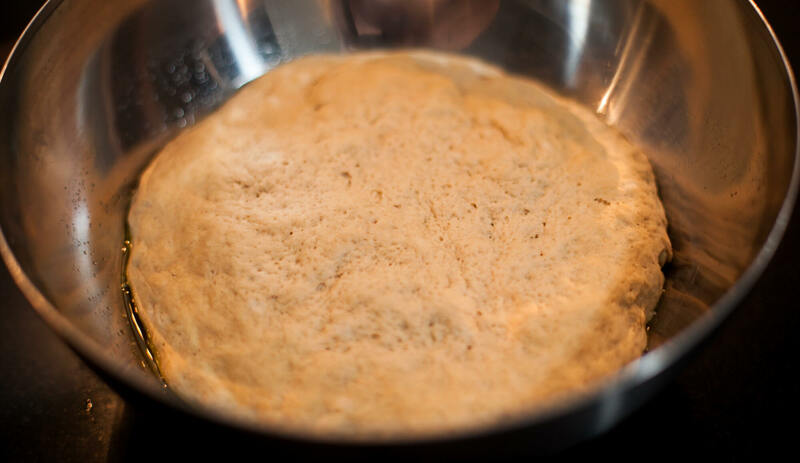 Dissolve the yeast in the water and add the butter and salt. Put the mixture and ¾ of the flour in your machine. 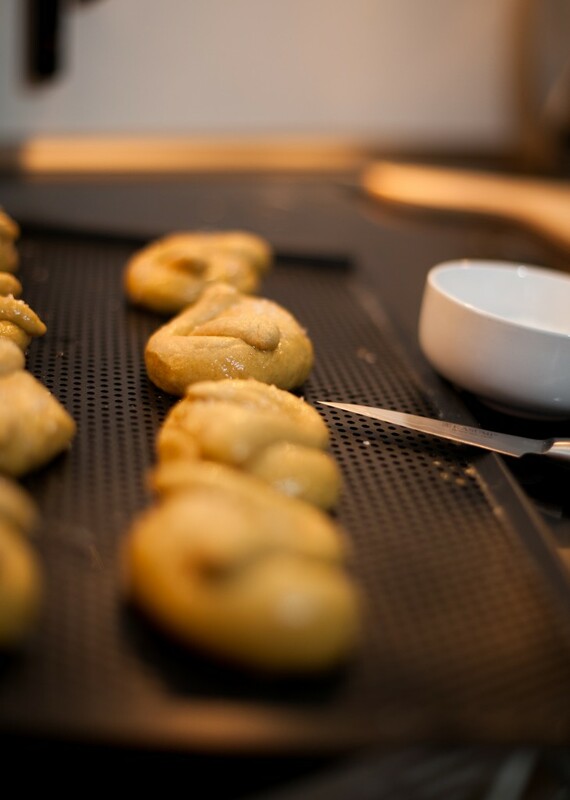 Start the machine with a dough hook attached on medium speed. When the dough comes together start adding flour little by little until the dough is a bit moist on the surface, but does not stick to your finger. 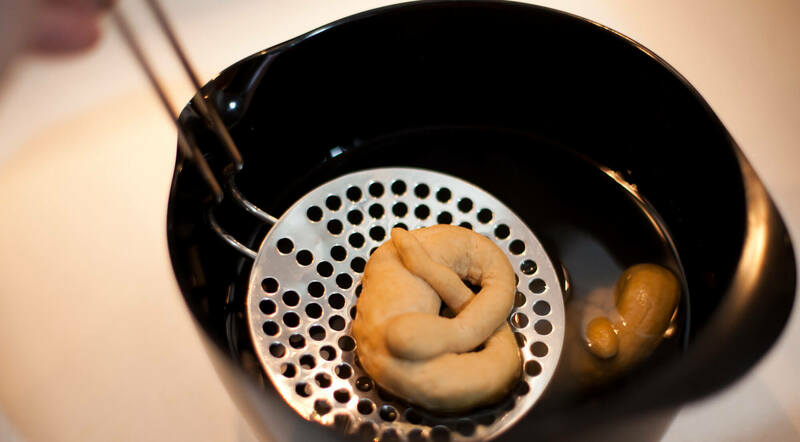 Remove the dough from the machine and put it in an oiled bowl and let it proof for an hour some place warm. 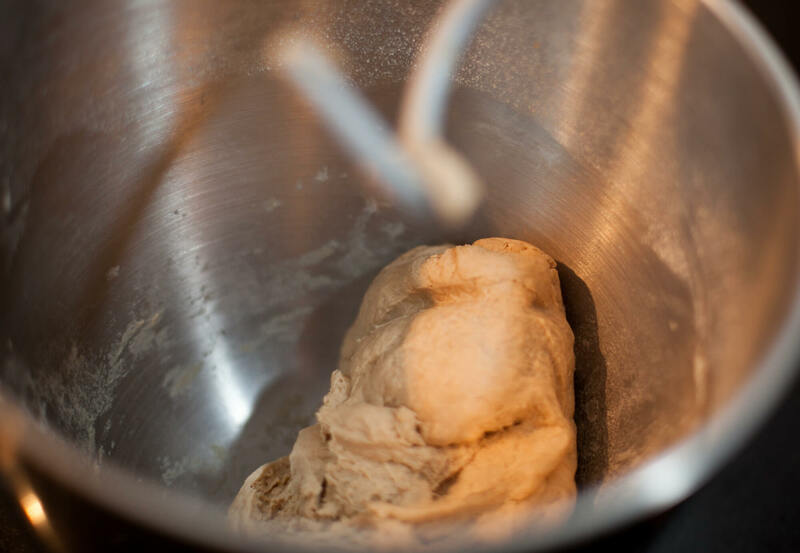 When the dough has risen to double size, take it out of the bowl and roll it to a sausage. 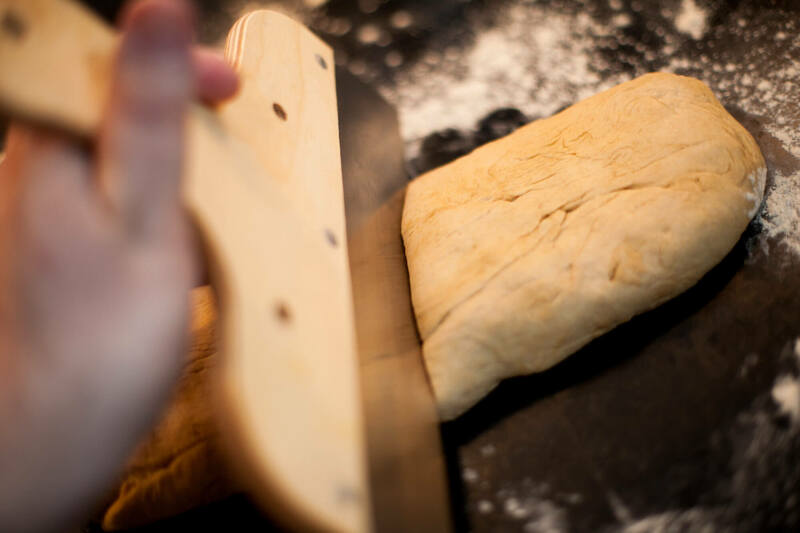 Divide the dough in 12 evenly sized pieces. 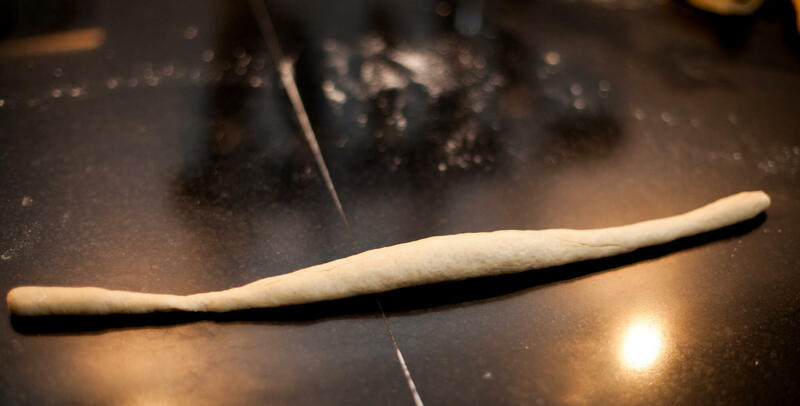 Take a piece of dough and roll it to a sausage that is thick in the middle. It should be around 50 cm long. Bend each end away from yourself and cross them and fold it over the thick part. Follow the same procedure for the rest of the pieces. Put the folded pretzels in the refrigerator for 1 hour. Please use gloves when handling the soda solution. Pour 1 litre of water in a container that can withstand heat. Pour in 30g caustic soda and mix with a wooden spoon until it is completely dissolved. If using baking soda, heat the water in a pan just until before it boils, pour in the baking soda and mix with a wooden spoon til it is completely dissolved. Turn the oven on to 225° C (440° F). The pretzels need to be dipped in the solution around 30 seconds each. You can add as many as you have room for without them touching. 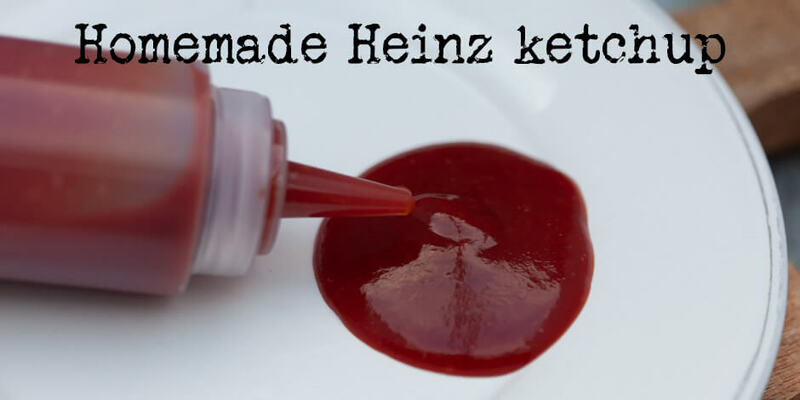 Use a slotted spoon to put them in and take them out. 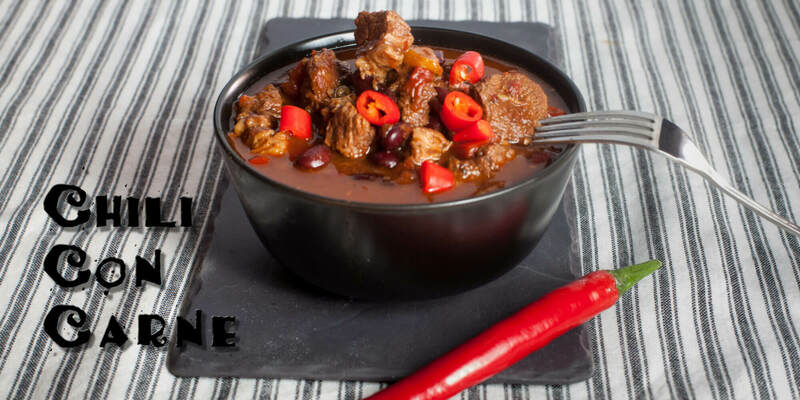 Make sure let any excess solution drip off before you put them on the pan. 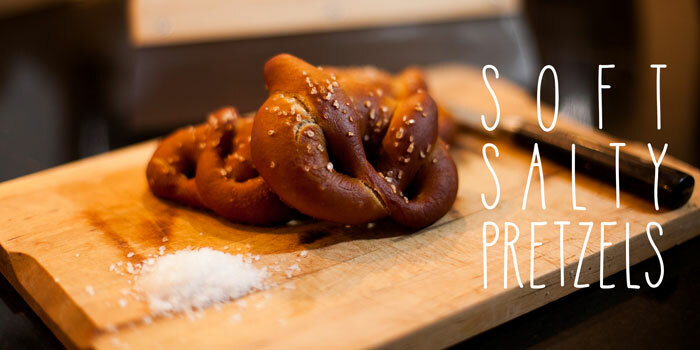 Sprinkle sea salt on the pretzels. 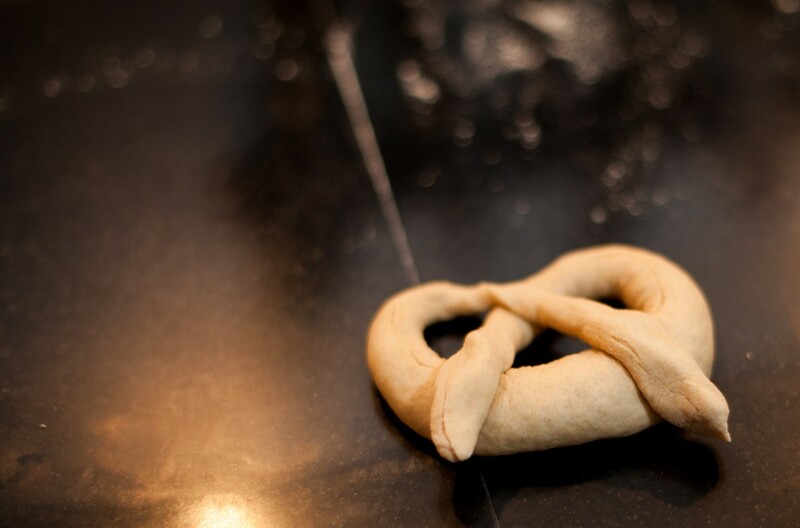 Make a deep cut with a sharp knife in the thick part of the pretzel. Bake for 12-15 minutes depending on how dark you like them.